Holi is an especially popular holiday in Lansing. The Bharatiya Temple hosts the area’s most prominent Holi festivities. Budding editor-writer and booklover Nitish Pahwa writes about how joyous a festival it is for Lansing, Michigan’s residents. Out springs the flock, clad in white, armed with fistfuls of colors. The people race toward each other with glee, smearing paints and powders of every imaginable hue onto each other’s faces. As they play on, the air becomes misty with faint tints of the tossed colors, covering the carefree participants in a lustrous mist. So begins Holi, a euphoric spring greeting captured in vibrant Technicolor. Each year on the day following March’s Purnima (full moon), friends and family come together to welcome the new season, celebrate the triumph of good over evil and most importantly, share a longstanding tradition of love and affection with their community. While this iridescent festival is an ancient staple of the Hindu tradition, it has long enraptured the imaginations of citizens all over the world. Holi has a rich cultural background. Mentioned within the pages of ancient Sanskrit literature, defining practices of the festival have been documented as far back as the fourth century. 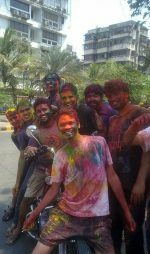 Holi is now regarded as a global festival, and traces of its customs can be found in popular events such as the Color Run. The central concept of Holi stems from Indian mythology. The roots of the holiday are based from the tale of King Hiranyakashipu, a malicious demon king who ruled the city of Multan, Punjab. 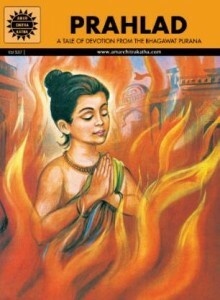 Hiranyakashipu, immersed in supreme power, demanded the complete worship of his subjects. The kingdom’s sole dissenter was his son, Prahlada, who had pledged himself to the divine deity Lord Vishnu. Enraged by this, Hiranyakashipu asked his sister, Holika, to kill Prahlada. Holika attempted to lead Prahlada into a burning pyre, but Vishnu intervened and protected Prahlada, leaving the evil Holika to burn to death. Holi is an especially popular holiday in Lansing. The Bharatiya Temple hosts the area’s most prominent Holi festivities. The Bharatiya Temple tends to celebrate Holi in the traditional manner. On the first morning of spring, known as Basant Ritu, devotees from all over the state gather inside the temple for a havan, or small fire, to signify Holika Dahan (the death of Holika). After chanting mantras around the fire, the devotees regroup outside to merrily splash each other with heaps of color. Panditji Kadambi prefers “dry Holi” — using powders instead of paints and colored water. For this year’s festival, Ramachandran plans on going bigger. He wants to cover the floors and walls of the temple with white sheets so that participants can safely play inside without ruining the temple’s decor. Ramachandran is also considering extending the celebration to two nights, as per traditional Hindu custom. The first night would exclusively feature the havan, and the next day would be dedicated to the merriment. The temple has further expanded their outreach efforts within the region, inviting all locals interested in the holiday. 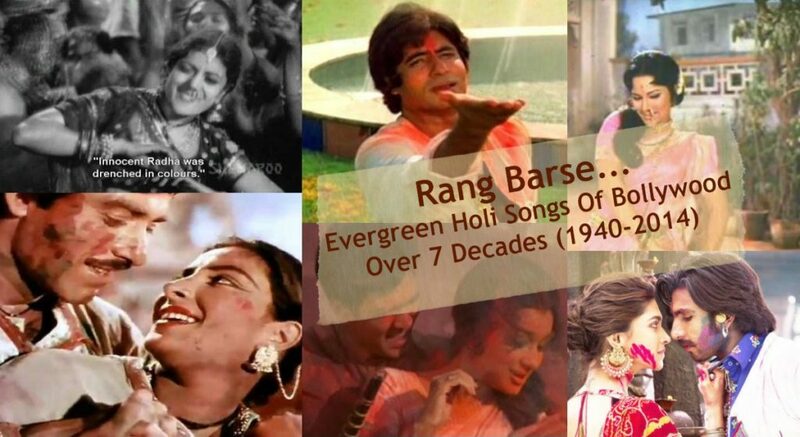 While Holi is primarily a staple of northern India, it is by no means an exclusive festivity. Rather, it is a joyous call for harmony. At its core, Holi is an invitation to disregard all temporal differences and welcome the season with unabashed joy. Ramachandran emphasized the power of Holi as a beacon of positivity. Rohan Kulkarni, a freshman computer science major, looks forward to reuniting with loved ones during the holiday. Rohan also anticipates the holiday as a harbinger of the seasonal shift. If you’re looking for a fun, fresh way to embrace spring, consider joining your friends or your local temple in celebrating Holi this month. This year, Holi falls on March 12-13. Feel free to revel in the colorful ceremonies while embracing the diversity and culture of your local community.